Autodesk is able to meet the very specific design requirements of NASA by using their generative design technology, a form of which is commercially available in Fusion360, Autodesk’s cloud-based product development software. With generative design, machine intelligence and cloud computing generate broad design solutions that are bounded by constraints and requirements set by engineers. That means engineers can dictate strength requirements and receive solutions that provide optimal locations of arrays and instrumentation, usually looking organic in design. Davis explains, “We took a system that was developed to help a customer solve system level suspension problems on a Formula One race car and applied new requirements for structural constraints critical to space exploration.” Even the manufacturing method can be set as a constraint. For instance, if JPL wants to stick with tried and true forged aluminum, then the software can be instructed to produce designs optimized for CNC fabrication. 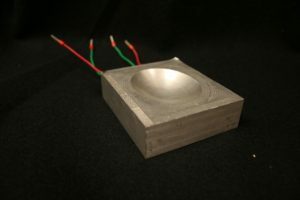 The same can be done for Additive Manufacturing and casting, and the lander concept employed all three fabrication methods. 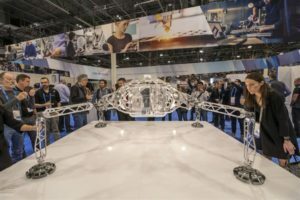 Through iterative generative designs, the Autodesk team was able to reduce the mass of the external structure by 35% compared to the baseline and they displayed the lander at Autodesk University in Vegas. Their process cuts the typical design and revises timeline of 2-4 months down to 2-4 weeks. That level of improvement is what propels technology, productivity, and thinking beyond the stratosphere and into the stars.